Modern medicine has been captivated by the industry. In the name of people’s health, business and industry receives a kind of protection by none other than regulator itself. The report about USFDA, hiding the adverse events or device failure and harm is just one example how powerful industry has become. It is not always possible to identify complications arising out of device failure and there can be possibility of these not being reported. The numbers that are hidden may also represent a fraction of actual number of harms related to device. A sad truth of present era, where doctors are punished and blamed for human errors or even natural poor prognosis, Medical industry remains not only hidden behind the scenes, but receives policies akin to protection by regulator. USFDA ‘hid’ reports of medical device snags The US Food and Drug Administration (FDA), which claims to have stringent processes in place to ensure safety of medical devices, has been found to maintain a “hidden database” of reports of serious injuries and malfunction of devices. Since 2016, over a million incidents that were reported went to the hidden database rather than to the publicly available database of suspected device-associated deaths, serious injuries and malfunctions. This was revealed in an investigation carried out by Kaiser Health News, a US-based non-profit news service covering health news. The revelation has serious implications for India, which approves a lot of devices based on USFDA approval. KHN found that “about 100” devices including mechanical breathing machines and balloon pumps were granted “reporting exemptions” over the years. The investigation revealed that many doctors and engineers dedicated to improving device safety not only did not know the issues raised in these reports, they didn’t even know about the existence of the “hidden database” or the exemptions. While the agency hid such crucial information about device risks, lawsuits and FDA records show that patients have been injured, hundreds of times in some cases, noted KHN. According to KHN, FDA confirmed that the “registry exemption” was created without any public notice or regulations. “Any device manufacturer can request an exemption from its reporting requirements,” an FDA spokesperson told KHN. The USFDA’s public database that tracks medical device failures, Manufacturer and User Facility Device Experience (MAUDE), receives thousands of medical device reports that are used to detect potential device-related safety issues, and contribute to benefit-risk assessments of these products. These reports are submitted by mandatory reporters — manufacturers, importers and device user facilities — and by voluntary reporters — healthcare professionals, patients and consumers. MAUDE is used by doctors to identify problems or to check the safety record of a particular device. But they could reach the wrong conclusion as they would be unaware of and have no access to the reports on the “registry exempted” products, pointed out a former FDA official to KHN. For instance, KHN found that in 2016, while reports of only 84 stapler injuries or malfunctions were submitted to the public database, nearly 10,000 malfunction reports were included in the hidden database. Medtronic, which owns Covidien, considered to be the market leader in surgical staplers, had used reporting exemption. Surgical staplers are used to cut and seal tissues or vessels quickly, especially during minimally invasive surgeries and if the device fails the patient could bleed to death unless the doctors moved quickly to resuscitate the patient and seal the tissue/vessel. After the KHN report was published, the FDA has written to doctors expressing concern about the safety of surgical staples and staplers. The agency said it has received reports of 366 deaths, over 9,000 serious injuries and over 32,000 malfunctions. The letter also acknowledged that the FDA was aware that “many more device malfunction reports during this time frame” were submitted as “summary reports”. The agency said it was analyzing the reports and that the results would be made public. According to the KHN report, the FDA has deemed manufacturers of over 5,600 types of devices including cardiac stents, leadless pacemakers and mechanical heart valves, eligible to file “voluntary malfunction summary reports”, one of the many exemption programmes. Ironically, in India, doctors and regulators have argued that FDA has the most stringent regulation for devices compared to regulators in Europe, Canada, Australia or Japan and have even sought to make it mandatory for devices to have USFDA approval to be eligible for government procurement tenders. This was especially evident during the efforts to cap the price of stents when top cardiologists argued for higher prices or even price cap exemption for USFDA-approved stents. What if financial part is taken out of medico-legal issues, like compensation and lawyers fee? The cases will drop down drastically? If money part is zero, only errors will be identified and punished. Few will remain only for idea of revenge. In an era where people cheat their brothers, sisters and spouses for money, it will be naïve to think that idea of money extracting from doctors does not exist. Financial zeroing can be done in larger public interest to keep down the cost of medical expenses. It is because of career building of few professions, that medico-legal cases are being fueled. Medical errors and complications are integral part of the treatment . Even simplest of diseases carry some amount of risk. These will still remain, even if doctors are hanged to death. Natural complications, poor prognosis can be attributed to errors by clever lawyering and because of benefit derived by other professions. Many careers are shining in name of preventable deaths and medical errors at the cost of medical profession. The managers, right activists, media and lawyers have made their career and wealth out of it. Ask any doctor really, are these issues really preventable after a point. The line separating errors or natural complications is really blurred and arbitrary. People who work in life and death situation know it well that even natural poor prognosis can be labelled and proved as error by retrospective analysis and wisdom of hindsight and more certainly with luxury of time at disposal for lawyers and courts. Lawyers and courts should also be given those fraction of moments to decide same as is available to doctors. Otherwise it becomes a unbalanced match specially when the amount of money which was paid to doctor to save a life was peanuts as compared to now being paid to punish him. “London patient” becomes second person to be cured of AIDS after stem cell therapy. It has helped them put their infection under remission without medication. The breakthrough offers hope for a potential cure using gene manipulation for an infection. Concept that scientists will one day be able to end AIDS, the doctors said, but does not mean a cure for HIV has been found. Almost three years after receiving bone marrow stem cells from a donor with a rare genetic mutation that resists HIV infection – and more than 18 months after coming off antiretroviral drugs – highly sensitive tests still show no trace of the man’s previous HIV infection. “There is no virus there that we can measure. We can’t detect anything,” said Ravindra Gupta, a professor and HIV biologist who co-led a team of doctors treating the man. The man is being called “the London patient”, in part because his case is similar to the first known case of a functional cure of HIV – in an American man, Timothy Brown, who became known as the “ Berlin patient” when he underwent similar treatment in Germany in 2007 which also cleared his HIV. Some 37 million people worldwide are currently infected with HIV has killed around 35 million people worldwide since it began in the 1980s. Scientific research into the complex virus has in recent years led to the development of drug combinations that can keep it at bay in most patients. Gupta, now at Cambridge University, treated the London patient when he was working at University College London. The man had contracted HIV in 2003, Gupta said, and in 2012 was also diagnosed with a type of blood cancer called Hodgkin’s Lymphoma. In 2016, when he was very sick with cancer, doctors decided to seek a transplant match for him. “This was really his last chance of survival,” Gupta told Reuters in an interview. The donor – who was unrelated – had a genetic mutation known as ‘CCR5 delta 32’, which confers resistance to HIV. The transplant went relatively smoothly, but there were some side effects, including the patient suffering a period of “graft-versus-host” disease. Specialists said it is also not yet clear whether the CCR5 resistance is the only key – or whether the graft versus host disease may have been just as important. Both the Berlin and London patients had this complication, which may have played a role in the loss of HIV-infected cells. Sharon Lewin, an expert at Australia’s Doherty Institute and co-chair of the International AIDS Society’s cure research advisory board, told Reuters the London case points to new avenues for study. “We haven’t cured HIV, but (this) gives us hope that it’s going to be feasible one day to eliminate the virus,” she said. Gene manipulation, like any experimental technology, comes with several caveats, including concerns about the “off target effects” that can cause adverse mutations, including cancer. A paradox, where a defined crime saves a life and following law and regulation correctly will result in end of life. If some one is asked to choose between a certain death or follow regulations, the choice will be very predictable. A patient , who has an irreversible organ failure, will try to defy death at all cost. People who can afford, can not see their children or loved ones to die, just for the sake of following law and regulations. Genuine concern here will be that If a patient can be cured of disease, why he should be left to die for just regulations. The wish to live is the basic reason, why the procedures, which are termed illegal, will flourish. They will thrive underground or in countries, where laws are lax. Touts, agents and liaison managers are people, who will be beneficiary and mint money by organization of the procedure. The people who can afford, get gift of life, in the bargain. Organ transplant may be termed illegal, in certain circumstances as defined by Law. But legal or illegal, it gives life . It gives another chance to people to live or have their kith and kin, children , spouses and parent to live another life. Because of gap in demand and supply, when legal means do not help, adoption of illegal means becomes a compulsion. If following law and rules means death, they are unlikely to be complied with. The gap in demand and supply of organs is the reason behind these activities. Nearly four lakh people suffering from end stage kidney failure need transplant and only 8000 get it. (Times of India). The recipient has two choices for Kidneys. It can be living donor and deceased donor or cadaveric in cases of brain death. 90% come from relatives, rest are cadaveric. The rest has to undergo repeated dialysis to survive. After the enactment of The Human Organ Transplantation Act of 1994, transplants became less in India. But it was followed by booming market of donors In other countries like Pakistan, Philippines . But given the circumstances of life and death, the underground market may still be existent. The ACT also allows unrelated donors to give one of the kidneys if there is sufficient evidence to show that they know the recipient for a long time and are donating organs out of affection. The loophole has potential to be exploited. The affection or the papers for affection can be easily generated in today’s era in lieu of money or other favors in case of high profile cases. Therefore, the mediator’s work becomes easier to generate the papers projecting affection and tutoring and training of donors and recipient. Alternatively, the procedure can be done in nearby countries. Therefore the role of doctor or surgeon doing a transplant (although the key point) is much smaller than the agent organizing the whole process. Thereby the agents , who can manage and organize the show, are thriving. The wish to defy a certain death is stronger than following the regulation. That will remain so till demand supply gap reduced , better awareness for brain death, medical infrastructure, organ retrieval and transport and supporting facilities are uplifted. Till it happens, even if it is defined as crime, the fruits will outweigh the risks, because of shear margin of money temptations and wish to live. Adverse outcome in patients can be because of many factors. Most of the time it is serious illness, natural poor prognosis of disease, genuine complications or infections. Sometimes, It can be deficiency of equipment, malfunction, lack of infrastructure or facilities. There can be poor training or lack of proper human resource and many others. There may be unintentional or human errors by doctors or staff. Root cause for most of the problems can be traced to administrative and system deficiencies rather than mistake of doctor. But since doctor is universal final link, when a patient dies, who is visible on the bedside. So by application of an average wisdom, it is the doctor who will be held responsible for any problem or adverse outcome. Administration and people who are responsible for building infrastructure, procurement of equipment and allocating finances or manpower are not visible in forefront. 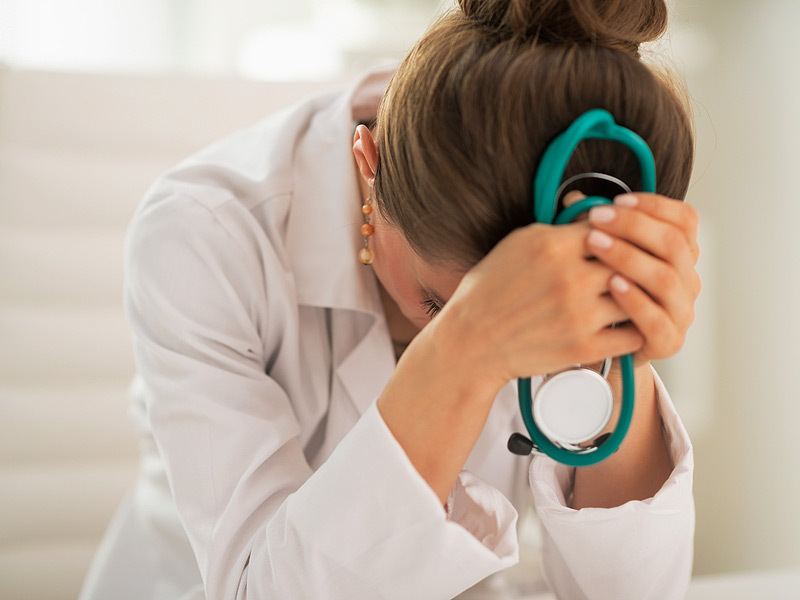 It is very common for the doctors to find themselves in a helpless situation, specially in presence of deluge of patients, difficult circumstances, scarce resources and other administrative issues. In cases of adverse outcomes, administration can pretend to hide behind the common escape route by punishing doctors and hold them guilty for the adverse events, as no other cause or person is visible. By retrospective analysis and wisdom of hindsight along with luxury of time , it is a cake walk to give verdict of one’s choice later, by fault finding analysis. Non availability of ventilators or malfunctioning is not an issue, for which doctors are responsible. Procurement and allocation of funds is an administrator’s domain. But it is common that doctors can be accused for not saving a life. They can be punished, dragged to court and even assaulted physically by crowds. Dismal percentage of availability of ventilators in Delhi Hospitals is a tip of the iceberg. This can be even worse in other parts of the country. Ironically crowds visiting the hospitals only see and blame the doctor, who is present on bedside and trying to save the patient. Patients hold them responsible for malaise of the system and fail to see the presence of large administration and industry, that is behind the scene. An unfortunate era, when the doctors are blamed on individual basis for system failure. In present circumstances, Lack of medical wisdom among masses is a cause of huge discouragement for doctors. With High court being proactive in asking about the number of ventilators, the administration can not pretend to hide behind any more, but masses need to know the real truth. Only 3.4% beds on Delhi Govt Hospitals have ventilator facility against the minimum requirement of 10% in every state run medical center. For over 10,000 beds, only 348 ventilators are there. That is an extremely low number. 52 of 400 ventilators in Delhi hospitals non-functional, state tells HC. After 3-year-old Farhan died in the national Capital for an alleged want of proper ventilator care earlier this month, the state government of Delhi has told the High Court that a substantial number of ventilators in its government hospitals are not working. The state also told the HC on Tuesday that they were aiming to have a web portal up and running within two months, which would provide an online daily update on ventilator and bed availability across Delhi’s government hospitals. After directions were issued by the HC, the state asked all its hospitals to provide a status update on ventilators and according to the information received from the government hospitals, up to 52 ventilators (13 per cent) of the total of 400 ventilator beds (including 300 ICU and 100 non-ICU) available in the hospitals are non-functional. “Fifty-two ventilators are non-functional and efforts are being made to get them repaired. The procurement of 18 ventilators is under process,” said the reply filed by the state government in the High Court on February 12. The state government also stated in its reply that as far as maintaining real-time information on the availability of vacant beds in Delhi government hospitals goes, it may not be feasible to implement real-time availability information in the initial phase and the Delhi State Health Mission should be advised to start uploading information on bed availability in all the hospitals once a day in the morning. a letter dated January 31, to prepare a web portal for online bed/ ventilator availability and that such a Web portal should be made functional within two months. The state government through an email sent on February 7 has also requested all the hospitals to complete repair, condemnation and procurement of ventilators at the earliest, according to Nutan Mundeja, Director General of Health Services. After the matter of alleged unavailability of healthcare to Farhan came to light, the High Court moved a motion against the Union of India and sought a reply. The number of ventilators as compared to bed strength in government hospitals is meager. “In private hospitals, there is one ventilator bed for every four normal beds. In government set-ups though, even as we have over 10,000 beds, we have only 348 ventilators. That is an extremely low number. Also, these ventilators may not be evenly distributed across the city,” pointed out stated U Jhamb, Director, Professor and Head, Department of Paediatrics at the hospital. The discovery has a potential to transform lives of millions of patients with diabetics. It can counter the availability and cost of insulin in future. If successful , the new technology can even change the delivery of other drugs as well. The stomach wall does not have pain receptors, so it is unlikely that this would cause any discomfort. The insulin needle takes about an hour to dissolve into the bloodstream. In tests in pigs, the researchers said they were able to deliver five milligrams of insulin – comparable to the amount that a patient with type 2 diabetes would need to inject. The team are now carrying out further tests in pigs and dogs and hope to start the first human trials within three years. With aberrant evolution of modern medicine and advancement of medical procedures, everything appears to be controlled by medical industry. The investors have gained control of the financial game. How large companies create a web of corrupt practices, and earn huge profits, is a common prevalent sentiment. Tip of the Iceberg has been revealed indicating inducements to some doctors and dubious deals with hospitals. If these are the hallmarks of the big unregulated medical bazaar in India and some others, a rare case involving a global major has put a figure to it. In a filing two months ago, the top financial regulator in the USA, the Securities and Exchange Commission (SEC), ordered the world’s leading manufacturer of orthopaedic implant devices, Stryker, to pay $7.8 million (over Rs 55 crore) in settlement for violating its corruption norms in India, China and Kuwait, documents accessed by The Indian Express reveal. The settlement, recorded by the SEC on September 28, came after the Commission’s “accounting and audit enforcement” proceedings noted a number of “violations” by the company’s Indian subsidiary and its dealers. These “violations” include questionable payments to doctors for “consulting fees, travel, and other benefits” and “inflated invoices” issued to “mostly large, corporate hospitals”. The US regulator’s severe indictment of Stryker’s India operations is one of the most startling findings to emerge from the Implant Files investigation by The Indian Express and the International Consortium of Investigative Journalists (ICIJ) on the medical bazaar, where pharma majors hard sell their products without any regulation via a dubious nexus with hospitals and doctors. Stryker India has four offices in the country — Delhi NCR, Mumbai, Chennai and Kolkata — and an annual turnover of Rs 300 crore in FY 2017-18, mainly from selling hip and knee implants, and medical devices for spine and neuro surgeries. The US-based parent company has a market cap of $58.87 billion with operations spread across 100 countries covering Asia, Europe, Africa and Latin America. Private hospitals that “requested inflated invoices from dealers profited from their purchase of Stryker orthopaedic products by passing on the higher (invoiced) prices to their patients or their patients’ insurers, even as the hospitals paid the lower prices previously negotiated with Stryker India to Stryker India’s dealers”, the US SEC found. In doing so, the SEC said, the dealers “allowed these private hospitals to gain a windfall from passing on the higher (invoiced) prices to their patients or their insurance companies”. SEC records do not identify the dealers involved. But documents maintained by CCI show that it had fined PES Installations, an authorised distributor, and two other firms, MDD Medical System and Medical Product Services (MPS), Rs 3 crore in April 2012 for a number of alleged irregularities in sale of equipment to AIIMS and Safdarjung Hospital, both in Delhi. The US SEC, meanwhile, found a number of similar violations in Stryker’s operations in China and Kuwait, too. According to the SEC, it took into consideration “Stryker’s cooperation and remedial acts undertaken” while deciding to accept the company’s settlement offer to be paid “within 14 days”. Unlike in India, the US has robust anti-corruption checks in place with the Foreign Corrupt Practices Act (FCPA), enacted in 1977, prohibiting the payment of bribes to foreign officials to assist in obtaining or retaining business, and mandating companies “to maintain accurate books and records”. In Stryker’s case, the SEC decided on a settlement after issuing a “cease-and-desist” offer to the company. * In 2012, in response to allegations of misconduct concerning Stryker India’s dealers, Stryker exercised its audit rights over three dealers in India. Those audits revealed insufficiencies in the financial record-keeping and internal accounting controls of all three dealers. Additionally, Stryker identified suspicious expenses by one dealer and instances of another dealer over-billing a hospital upon the hospital’s request. While Stryker took some corrective actions in response to these audits, including terminating one of the three dealers, the actions were limited to the three dealers audited. * (The)deficiencies violated Stryker India’s agreements with its dealers. Specifically, the deficiencies in dealers’ financial record-keeping violated dealers’ obligation to “maintain complete and accurate records relating to [their] promotion, marketing, use and distribution of [Stryker] Products,” and the over-billing violated Stryker’s business conduct policy prohibiting participation in any improper payments. Despite the red flags raised during the 2012 audits, and numerous complaints reported to Stryker of dealer misconduct, Stryker did not act to determine the scope of dealer-inflated invoices until 2015. * In 2015, Stryker performed audits of other dealers in India. The audits revealed that the practice of Stryker India’s dealers inflating invoices for the sale of Stryker orthopaedic products to certain private hospitals — an improper practice identified three years earlier in connection with the 2012 audits — had become more widespread. * From 2010 through 2015, Stryker India failed to make and keep complete and accurate books and records that reflected its transactions and disposition of assets. In particular, Stryker India recorded potentially problematic payments to its dealers and to HCPs, some of which lacked any supporting documentation reflecting a clear business purpose. * A forensic review of Stryker India’s general ledger for the period 2010 through 2015 found a complete lack of documentation for 144 out of 533 transactions selected as a sample of Stryker India’s highest-risk and most compliance-sensitive accounts. * During the period of 2010 through 2015, Stryker was unable to provide any documentation for 27% of sampled high-risk transactions on Stryker India’s general ledger. The company has also retained an independent consultant to “formulate a work plan: that will be evaluated by the agency and Stryker to address the SEC’s findings”. * In April 2012, the CCI fined PES Installations, MDD Medical System and Medical Product Services for “bid-rigging and forming a cartel” in tenders for procurement of a Modular Operation Theatre (MOT) and other medical equipment at AIIMS and Safdarjung Hospital. * In its final order issued on April 16, 2014, based on the documents placed before it, CCI ruled that “according to the agreement struck with the dealer (PES Installations), Stryker could appoint any other firm as its dealer”. “However, according to the agreement, in this case PES Installations, the dealer could not sell products of any other company without the permission of Stryker,” the order said. * The Director General appointed by CCI, under section 26 of the CCI Act, to conduct the investigation noted that the agreement that restricts PES to Stryker alone “impeded and restricts competition” and “constitutes violation of the law”. * However, the CCI ruled in its final order that the agreement was “not violative of the law” on the grounds that “there are other competing products in the market” that are available to other “similarly placed” distributors. The point to ponder here is that, with such unholy scenario and milieu developing, where business deals and investors decide the treatment with aberrant medical evolution taking place. Doctors involved with such big companies will be promoted, projected and survive. Will the honest doctors, who are not part of the game, be able to survive, sustain themselves or ultimately alienated to extinction?